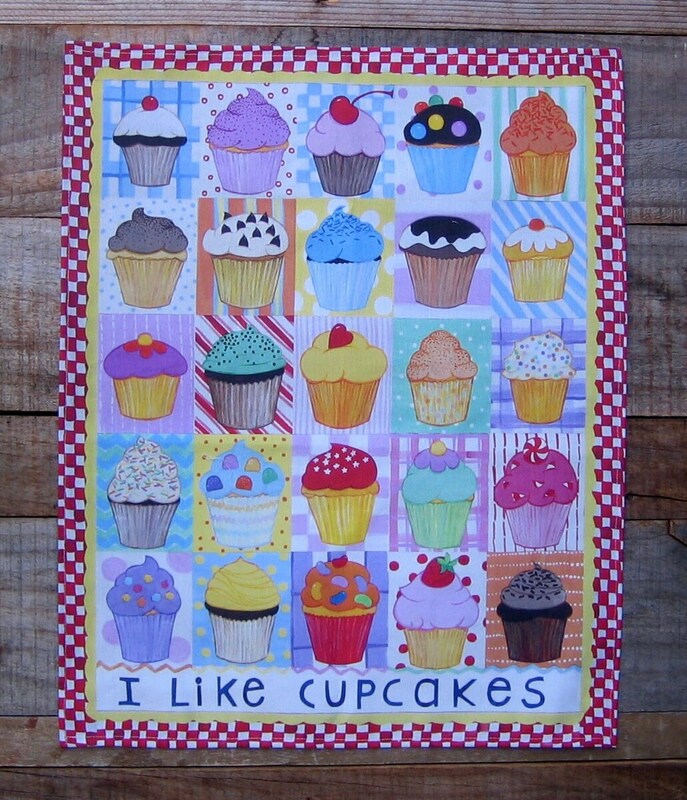 CUPCAKES linen/cotton kitchen towel from original painted paper collage print by Little Island Company on Spoonflower. 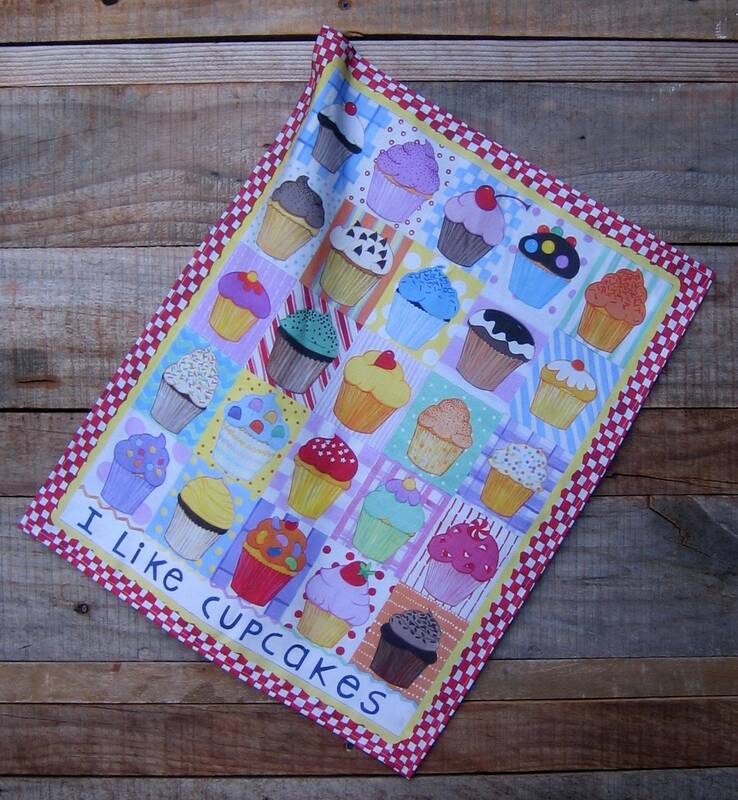 Fabric is crisp and will soften with use and washing or may be kept as is for decorative use only. Towel is 17"x 23".